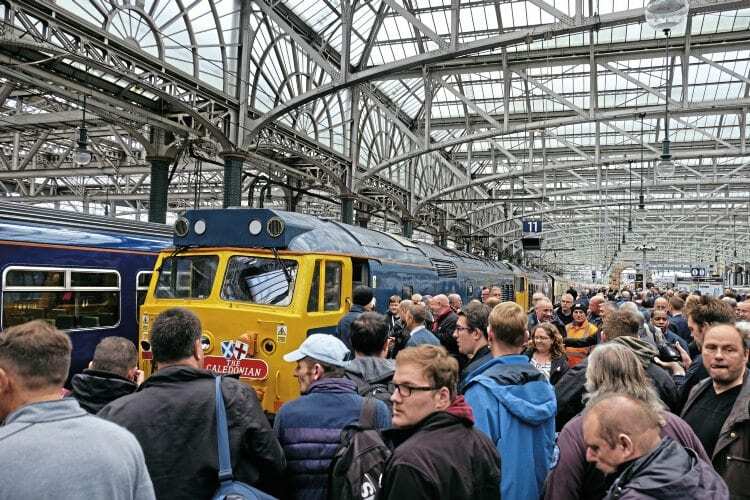 TAKE two Class 50s, a forty-something-year-old Class 87, 12 blue and grey carriages, 530 passengers, a worthy cause, and you have all the ingredients for a memorable charity railtour. 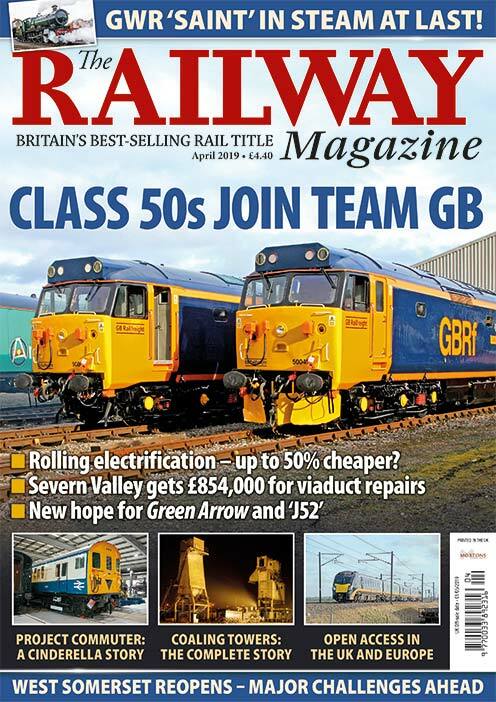 The Railway Magazine’s fourth successive charity railtour – the ‘Caledonian’ – saw the publication working with new partners GB Railfreight, Rivera Trains, Pathfinder Tours and the Class 50 Alliance, to take a pair of Class 50s back to Glasgow Central to mark the 50th anniversary of the introduction of the class by BR. It was also the 60th anniversary of the first run of the ‘Caledonian’ and The RM’s 120th anniversary. A tour that sold out in a matter of days had both No. 87002 Royal Sovereign and the ‘Hoover’ pairing of Nos. 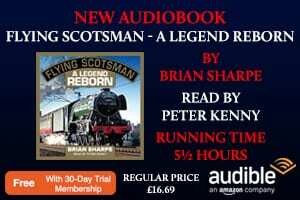 50007 Hercules and 50049 Defiance produce classic performances on the Euston to Crewe and Crewe to Glasgow sections of the West Coast Main Line, respectively. The ‘50s’ were always going to be the star turn, and they didn’t disappoint, easily touching 100mph in both to and from Glasgow on several occasions, showing age was no barrier to these meticulously maintained machines. * This month’s Practice & Performance covers the charity train’s working in comparison to other WCML runs – see p22. 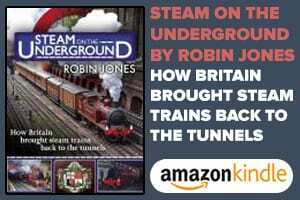 Read more on both news stories in the November issue of The RM – on sale now!